First, paint your canvases (two coats, letting each coat dry in between). Adhere everything together with spray adhesive and let dry! And voila! 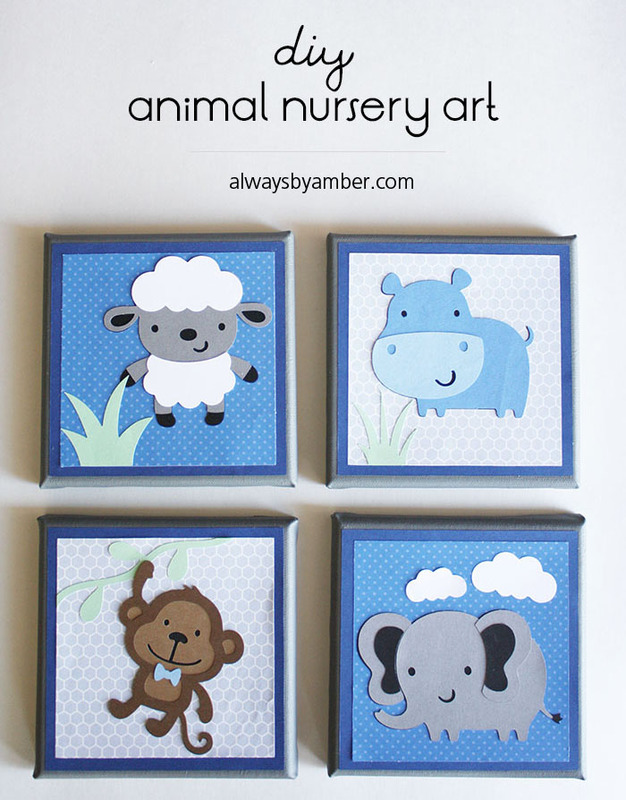 Your very own adorable nursery art! There are so many options for this - I have a few more ideas in store for future babies ;) Have a great week/weekend! * This post originally appeared on my old blog, Living YOUR Creative, but has been transferred to my new blog.